Big Sis Advice: Is it that deep? On Saturday, September 26, the UTSA football team hosted Colorado State in their final non-conference game of the season. The team fought hard from start to finish but ultimately would fall just short of a victory, losing by a score of 33-31. In what was the 50th game in the programs history, UTSA went into the encounter feeling confident for their 1st victory of the season. After a few sloppy performances in the weeks prior, the team cleaned up many of their mental mistakes. The Runners started out fast, taking less than 3 minutes to put 7 points on the board. The opening drive featured a 42-yard run from redshirt freshman Quarterback Blake Bogenschutz, and was finished off with a 13-yard touchdown run from fellow redshirt freshman Jalen Rhodes. UTSA’s lead would be short-lived, as the Colorado State Rams would answer the runner’s touchdown with one of their own. A passing touchdown from the Ram’s Quarterback Nick Stevens to Wide Receiver Xavier Williams would tie the game. The Rams would take the lead with a rare safety. UTSA would be flagged for a holding penalty in the end zone resulting in 2 points for Colorado State. A penalty in the offenses own end zone results in an automatic safety. UTSA showed great mental toughness to respond with 10 unanswered points, a field goal and touchdown reception for Tight End David Morgan. UTSA entered halftime up 17-16, which was their first halftime lead of the season. Defensive leader and Junior Safety Michael Egwuagu put in a great individual performance and came away with 10 tackles and a sack. Yet not even he could help UTSA stop the Rams in the second half. “For some reason we have a history of lacking in the third quarter, and so that’s what showed tonight,” explained Eqwuagu. The third quarter featured the most scoring, starting with the Rams completing a 13 yard pass making it 23-17, taking back the lead and holding on to it for the rest of the game. Another long passing touchdown from Colorado State boosted the lead further to 30-17. UTSA would not go out without a fight. Led by Junior Running Back Jarveon Willams, and his 170 yards rushing—a UTSA program record—the runners pushed back till the very end. In a loss few positives can stand out but on the day Williams was without a doubt a bright spot for the Runners. Two scores from Williams, one being another program record 85 yard run, would make the game close till the very end. Though one last field goal from the Rams would ultimately be the deciding factor. Speaking after the game Williams, despite his exceptional performance, could not hold back frustration. “There’s definitely some psoitives to take away from this game, but like you said, we lost, so obviously we didn’t do all the right things that we needed to do to get a win,” admitted Williams. 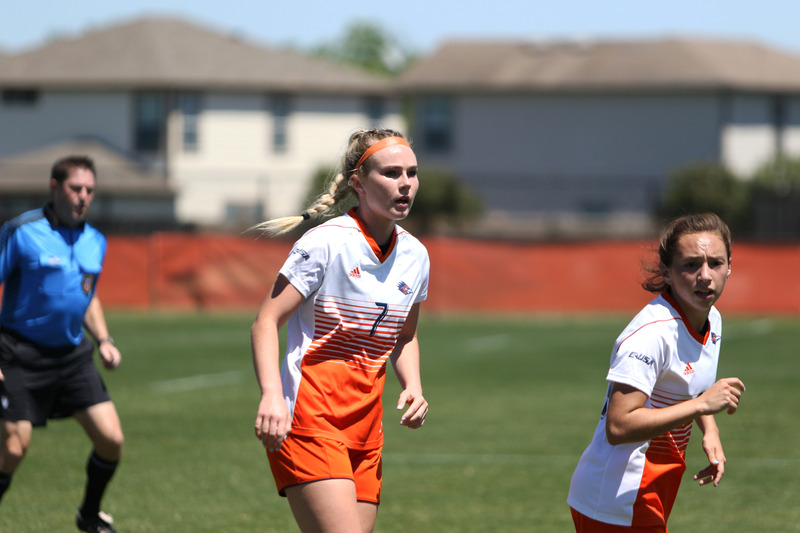 The Runners will start conference play with a trip to El Paso for a game against UTEP. Despite the disanointing start to the season, the Runners remain resilient. As Michael Egwuagu said, “We’re going to get back at it this week.” They will look for their first win of the season next week.